For Real Estate Services you can count on, contact Paul Rentz for all your real estate needs . As your realtor. it's my job to either sell your home or to assist you in buying one. However, it's my privilege to help you achieve your goals. Is 'your' realtor working for you? As a home buyer, your interests are not represented unless you have told the realtor who is showing you homes that you want them to represent you as your "Buyer's Agent." If you haven't, "your Agent" could be representing the seller. A buyer's agent protects your best interests. Buying a home is often one of the largest financial decisions you will make in your lifetime. It does not cost you anything to be represented by a professional buyer's agent like myself and it could save you thousands. Sellers have agents working for them and home buyers should too! Why choose me as your buyer's agent? As a dedicated buyer's agent, I perform services for you that a seller's agent can't - such as showing you reasons not to buy a certain property; negotiating the best price and terms for you; including contingencies in the contract that protect you, rather than the seller; and keeping confidential any information that could hurt your bargaining position. 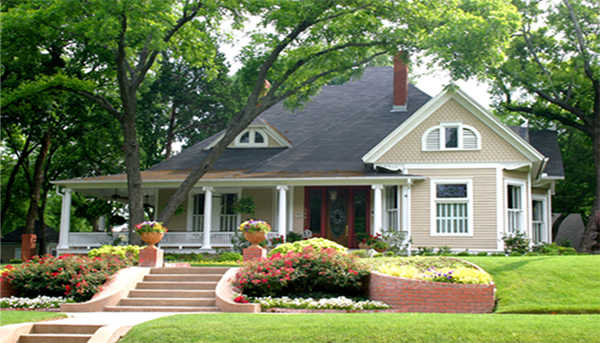 If there are better-priced homes in the area, I will also give you an unbiased opinion and show you those homes. From house hunting to closing, I am here for you every step of the way - don?t leave home without me! For independent representation, contact me for all your real estate needs. Hi and welcome to Rentz Realty & Appraisal your real estate connection! Morris is the place I have lived my entire life and I love it and I am proud to call it home. I'm at home in the commuity I call home and while it's now my job to either sell your home or to assist you in buying one, it's my privilege to help you during this process. In December 2011 the Real Estate & Appraisal Divisions of Rentz Agency, Inc. changed to Rentz Realty & Appraisal LLC. Our new location is 10 East 6th Street, Suite #109, Morris, MN. Whether you're in the market for a new home or you are looking to sell your current home or business, give me a call. As a licensed Real Estate Broker & Certified Residential Appraiser, I have knowledge to work with you to "Get The Job Done". Thank You for visiting my website and I look forward to be of service. KEY TO ALL YOUR REAL ESTATE NEEDS "
Bus: (320) 585-7800, (320) 589-2448 (Home), (320) 349-0848 (Cell).